PITTSBURGH, Pa. - Add Pittsburgh Penguins star Sidney Crosby to the growing list of NHL players dealing with the mumps. The Penguins announced the diagnosis Sunday after holding the two-time MVP out of games over the weekend as a precaution when swelling developed on the right side of Crosby's face — swelling the team believed was related to a salivary gland injury Crosby sustained in a game against Carolina on Nov. 29. Crosby was able to skate with the team on Friday morning but was pulled from the lineup for Friday night's game against Calgary after his condition worsened. He underwent further tests that revealed the presence of the disease. He is currently in isolation but should be through the infectious stage by Monday, though the team has already ruled him out on Monday night when Pittsburgh hosts the Tampa Bay Lightning. Crosby received a booster shot against the virus before travelling to Russia for the Winter Olympics in February and initial tests done a couple of weeks ago indicated Crosby was not in any danger. "It came as a bit of a surprise," team doctor Dharmesh Vyas said. "Every indication was that he was well protected against the disease." The NHL is dealing with a widespread outbreak of the virus, with players from Anaheim, Minnesota, the New York Rangers and the New Jersey Devils among those affected. The Penguins have aggressively tried to prevent the disease from spreading, having players and staff undergo testing earlier in the month. 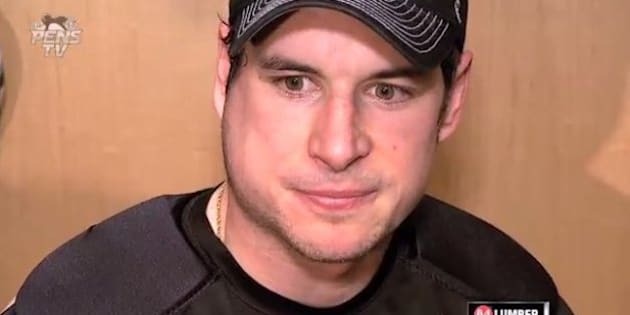 Vyas said Crosby had no major symptoms, pointing out the swelling that usually accompanies mumps is present on both sides of the face. Crosby only had swelling on one side. "He did not have a classic presentation of mumps," Vyas said. The setback for the team's second-leading scorer is the latest unusual medical development for the Metropolitan Division-leading Penguins. Forward Pascal Dupuis is out for the regular season due to blood clots. Defenceman Olli Maatta missed two weeks in November after a cancerous tumour was removed from his thyroid. Maatta is currently dealing with an unspecified injury the team said is not related to the thyroid surgery or the mumps. "In our case we're going through a period here that's pretty rough," general manager Jim Rutherford said. "It's a period that builds character and if you can get through it it's going to help you in the long run."